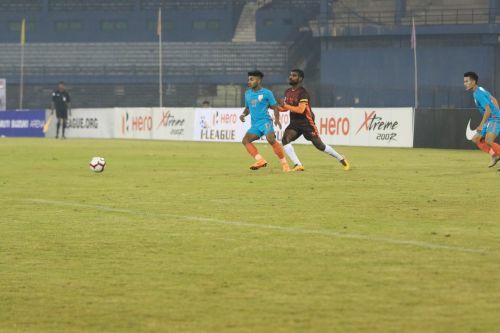 Indian Arrows pipped Gokulam FC 1-0 at the Barabati Stadium in Cuttack on Match 46 of the Hero I-League 2018-19. 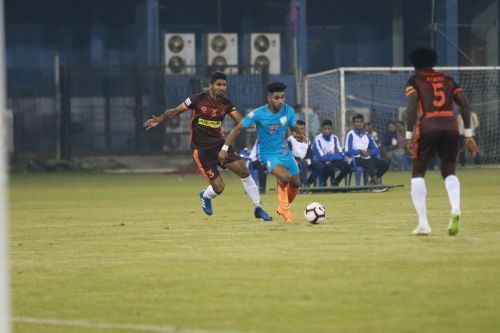 Amarjit Singh Kiyam scored the only goal of the match for the Young Colts from a spot kick after Guilherme Batata Castro tripped Vikram Pratap Singh inside the penalty box. This win takes Indian Arrows to the ninth spot on the table with seven points from eight matches, winning twice and drawing once. Gokulam FC, on the other hand, remains on the eighth position with 10 points from nine matches. Bino George made four changes to the Malabarian side that drew 1-1 to Real Kashmir FC. Pritam Singh, Arjun Jayaraj, Abhishek Das and D Bhagat were shown the doors and, Rohit Mirza, Nasar PA, Deepak Kumar, and Jishnu Bala Krishnan made it to the starting line-up. Floyd Pinto made only one change to the stalemate against Aizawl FC. Narendar was rested and Rahul KP got the start. Speaking of the match, Gokulam FC could have walked away with three points if they had capitalized on their opportunities. But, these three reasons alluded them. Without any further ado, here are 3 reasons why Gokulam FC lost to Indian Arrows. Bino George threw the kitchen sink just before the hour mark by doing a double substitution. He took out two midfielders, Christian Sabah and PA Nasar, and brought in two bulky forwards S Rajesh and Suhair VP. The commentators were baffled by this change as it was the midfield of Gokulam which had failed to deliver. Cutting the manpower in this department meant Indian Arrows controlled the proceedings of the match. As a result, S Rajesh was forced to drop deep in the midfield. He did win some fouls for the Malabarian side but, that was not what the doctor ordered.